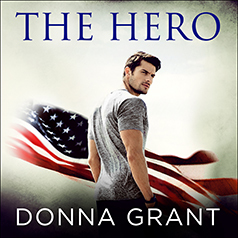 New York Times bestselling author Donna Grant presents the first book in her new Sons of Texas series. Contains mature themes. Owen Loughman is a highly decorated Navy SEAL who has a thirst for action. But there's one thing he hasn't been able to forget: his high school sweetheart, Natalie. After more than a decade away, Owen has returned home to the ranch in Texas for a dangerous new mission that puts him face-to-face with Natalie and an outside menace that threatens everything he holds dear. He'll risk it all to keep Natalie safe—and win her heart.